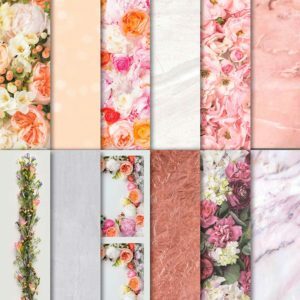 This set is so perfect for year round crafting! It’s got flowers and leaves for Spring and Summer, leaves and wheat for Autumn, and holly and bells for Christmas/Winter. 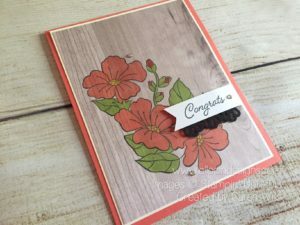 For this card, Sarah paired the large floral stamp with the Wood Textures Designer Series Paper. 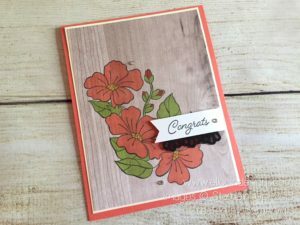 I just love how the flowers look against the grain of the wood! 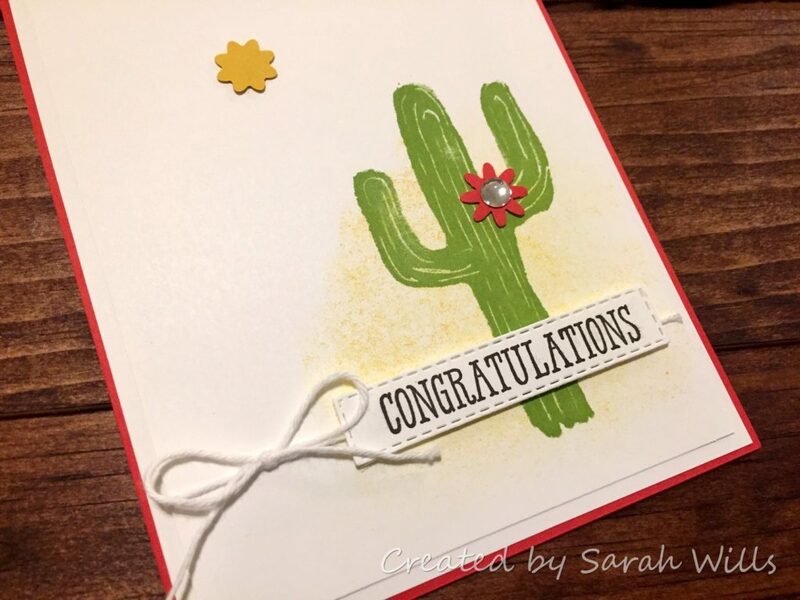 The main color Sarah used on this card is Calypso Coral. 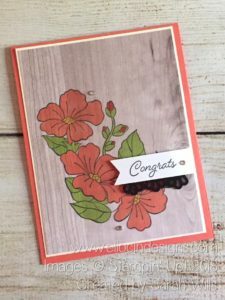 The image was colored using Stampin’ Blends. I am assuming that the yellow in the center of the flowers is Daffodil Delight and that the leaves are either Old Olive or Granny Apple Green. (If I get a definite answer on the green, I will let you know!) 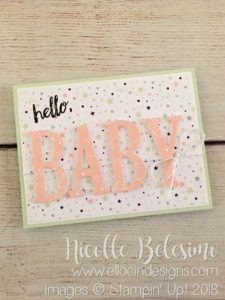 She also added just a pop of black by adding a small piece of black cardstock cut with the Decorative Ribbon Border Punch, as well as the stamping the sentiment in black. I love the contrast of the black against the lighter colors! I just love getting happy mail, and it’s always a happy day when I get mail from Sarah! 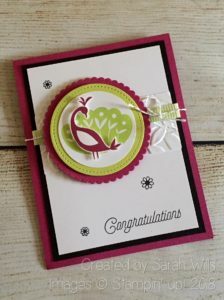 I just love this card she created, and may have to make more of these for myself! 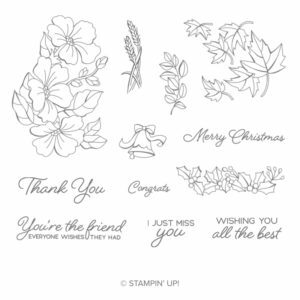 Again, if you love this stamp set and bundle, there are only a few days left to get it. Click HERE to visit the Color Your Season section of the online store to get your set before they’re gone for good! Have a great weekend! Thanks for visiting today! 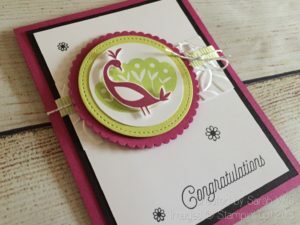 My project today is a simple new baby card made with items from the Twinkle, Twinkle suite! 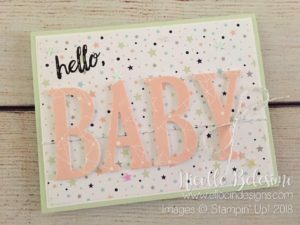 The main item used on this card is the Twinkle, Twinkle Designer Series Paper, (which is available as part of the Buy 3, get 1 FREE Sale going on this month until July 31st!) 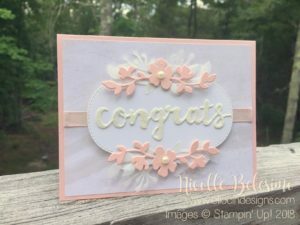 I cut letters using the Large Letters Framelits from the paper and stamped the “Hello” with a stamp from the stamp set included in the Darling Label Punch box. 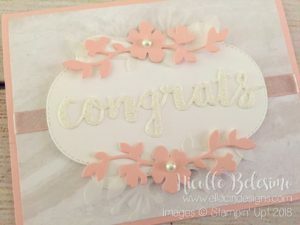 The card was also embellished with Silver Bakers Twine and some iridescent stars from the Twinkle Adhesive-Backed Sequins. Mini Dimensionals were used on the letters to give them some height and help them pop off the paper! 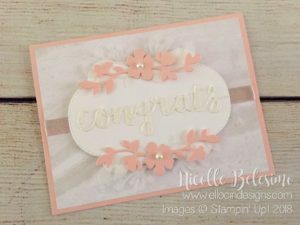 Don’t forget, I am offering FREE SHIPPING on all orders placed through me on Wednesday, July 25th! For more info on this offer, please click HERE! 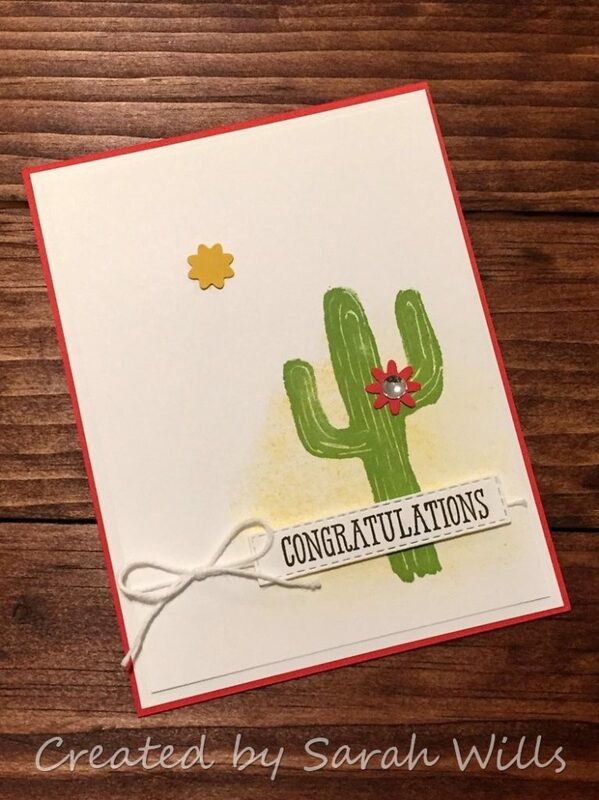 I hope you’ve enjoyed today’s card! Thanks for stopping by! 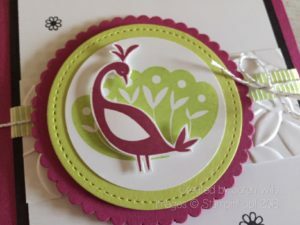 While the stamps are all designed to work together, and definitely focus on building the peacock, many of them can be used alone as well. 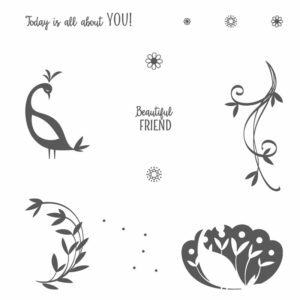 The two tail stamps can be used as simple flourishes, the polka dots and flower stamps can be used as background stamps and accents, and of course, the sentiments can be mixed and matched with lots of other sets! This is a very versatile set! 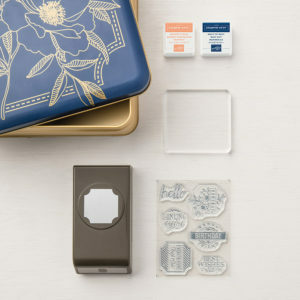 You can find out more information about this gorgeous set HERE. 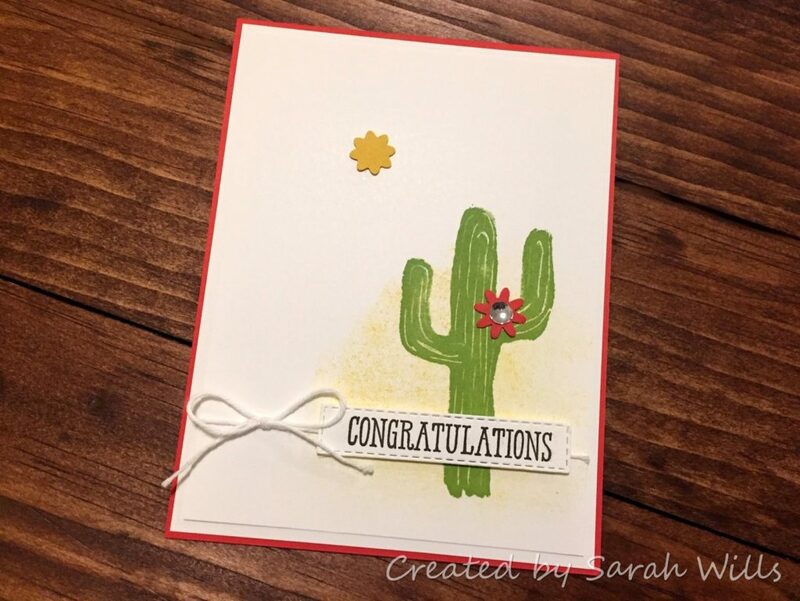 I hope you like Sarah’s card as much as I do! Thanks for stopping by today!